Better than new Blue Valley townhouse in Rock Creek less than 1 year old! Seller's move is your opportunity! Sought after end unit is best lot in neighborhood backing to open park space. Upgraded stainless appliances featuring gas range & hood vent for cooking. Gorgeous wood floors & cabinetry. Granite tops & new window treatments throughout. 2nd floor master suite, junior suite & laundry with machines included. Finished basement family room for relaxing & entertaining or non-conforming 3rd bedroom space. Must see! This 2 bedroom, 4 bathroom Townhouse/Villa for sale is currently listed for $265,000. It was built in 2018. It has been on Coldwell Banker for 44 days. This listing is provided courtesy of KELLER WILLIAMS KEY PARTNERS. Looking for more homes for sale near this one? 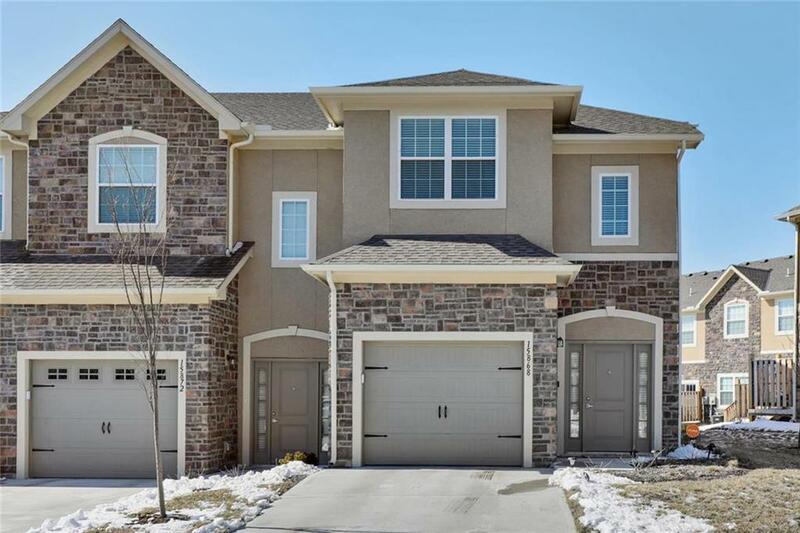 View all Overland Park, KS homes and connect with local real estate agents. Website provided and owned by Coldwell Banker All American Realty.